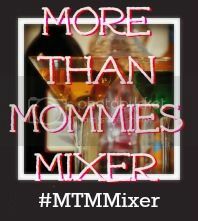 More Than Mommies Mixer! #MTMMixer - Motherhood Looms - Where's My Yarn? 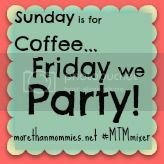 What is The More Than Mommies Mixer? The Mixer is designed to help you check out and share Blogs, Facebook pages, Twitter Handles and Pinterest Boards! You can jump on all the Linkys or only the ones that you feel like doing this week. We will be here each week: so maybe you want to do GFC on your blog this week and Facebook next week, then hit up the Twitter Boards and Pinterest Boards the week after that. It’s totally up to you! Follow our Mixologist – Deb at Raising Figure Skaters! Every week we will choose one participant to get our party started at the #4 slot. All you have to do is link up (and follow the “rules”) to be considered! Then feel free to party hop around the rest of the list! The fastest way to see success for your blog in a blog hop is to head on over to other blogs, comment, follow and ask them to swing by and party at your place! Rest assured, Christine and I will visit each and every person who links up and we will follow you back! We couldn’t be more excited to get to know you and visit your “homes” on-line! A note from Suzi: Wow. Life of the party? It’s a pretty interesting thing to be for a geeky stay at home mom! It’s nice to meet all of you. So what are you waiting for? (Me to stop rambling, right?) Jump in and let the MiXiNG begin!!! Thanks so much for hosting The Mixer with us this week! We are happy to have you! Thanks so much for co-hosting this week. Great to “meet” you!